Next review Instaflex - Poor business ractice. 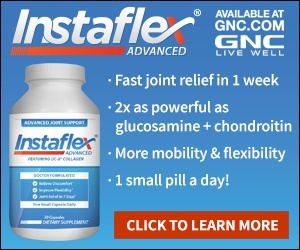 Last month I called Instaflex and cancelled my trial. This month I see another charge for $74.98. I am getting ready for some trouble from them. What a scam. They should be restricted from doing business when they act like that. That they bill you and dont even send the product. That is just wrong. They tell you a lot of what you want to hear. Then *** like this. Review #273811 is a subjective opinion of geeWally. I am having difficulty like you. I had the very same problem. I cancelled, and they billed me the same amount, anyway.